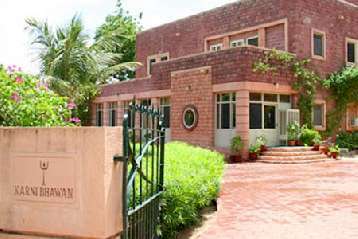 Karni Bhawan is a Heritage Hotel in Jodhpur which served as a home of Jagirdars of Sodawas, Bhatti Rajputs of Lunar dynasty. Built in the 40’s, the bungalow has been renovated to meet the growing necessities of the modern guests. The hotel is only 3km away from the airport and therefore easily accessible. It is situated close to Umaid Bhawan Palace and lies in close proximity with Mehrangarh Fort, Jaswant Thada and Mandore Gardens. 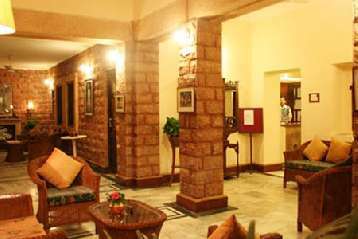 The hotel has many facilities like an internet connection that can be availed at a surcharge. 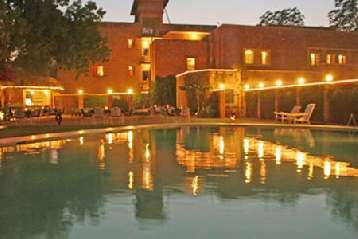 It also offers a well-equipped fitness center and a swimming pool. Herbal oil massage can be arranged on request to soothe your senses. The hotel also has a travel desk for the comfort of their guests. Village safaris can be requested that travel to remote areas to see local wildlife and local tribes like Brishnois. The services available include laundry services, airport transportation (surcharge), doctor on call and shopping arcade. 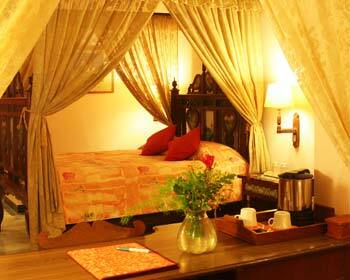 The hotel has a total of 31 rooms divided into deluxe rooms and Suites. All rooms are air-conditioned and room service is available as well. Tashli, Dhani and Shahee Kabaabee Korma are the main restaurants. Suites in the hotel are well equipped to handle the ever evolving modern traveler. 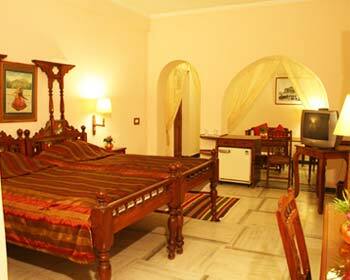 The interior of the room is done in pure Rajasthani style. The room is theme decorated and reminds one of festive royalty. The room is done in warm even tones with marble flooring and even includes a full length mirror. It is furnished with a double bed, study table and a few chairs. 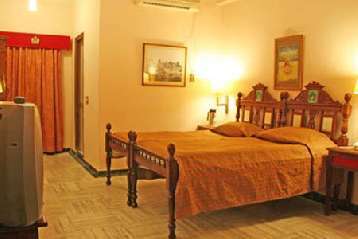 The room comes with all modern facilities like 24-hour running hot and cold water, Satellite T.V, cable movies, Refrigerator, telephone. The bathroom comes with all modern amenities. The guest can also request a wake -up call. Deluxe Rooms are quite beautiful to look at. They give off a homely feel and come with a double bed, writing desk and chairs. The marble flooring looks elegant and the curtains only intensify the beauty of the room. The in-room facilities include satellite television, wake-up call, cable movies. There is a full length mirror in the room that is quite a necessary thing. 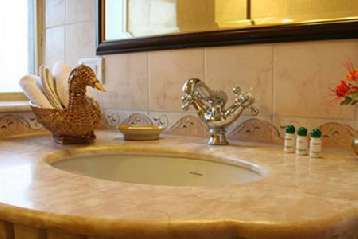 The attached bathroom is equipped with all modern facilities. Dhani is actually a Marwari word for dwelling huts build in the wilderness or the farm land. 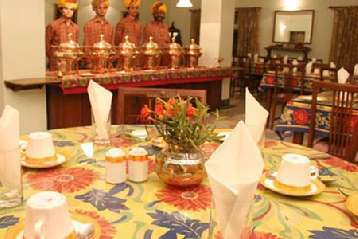 These huts give a totally Marwari touch to the whole dining experience at this restaurant. The experience is like no other with a warm ambience created by the faux rural surroundings. The restaurant serves buffet dinner and the mood is heightened with amazing live music and even a campfire. Shahee Kebaabee Korma is the newly opened restaurant in the premises. It is a pool side restaurant and therefore the ambience is very sunny and warm. The restaurant serves tandoori, Punjabi and Chinese.